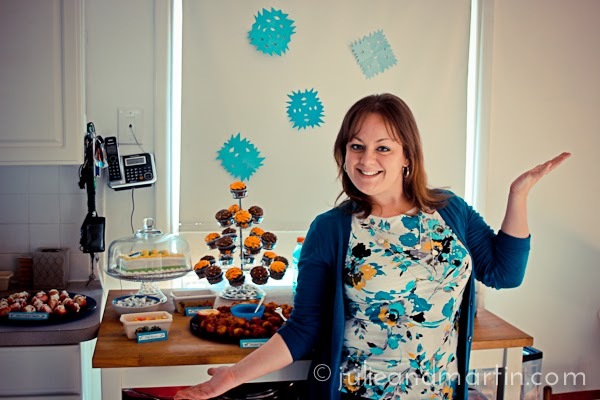 So I consulted to that almighty party resource of the Internets: Pinterest. It was crazy. 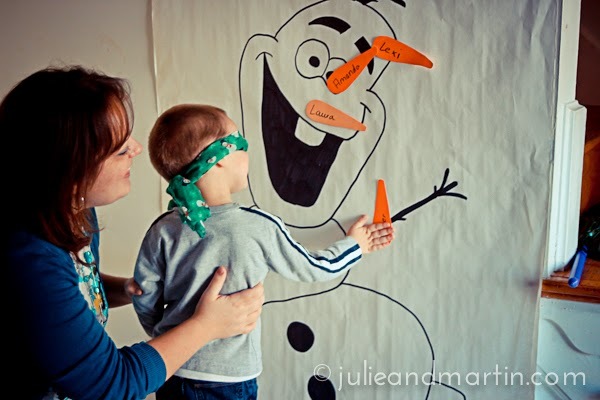 There are about one million ways to throw a Frozen party, and most require at least a month of planning and crafting. We only had a few days. Nevertheless, I did find some clever ideas, and Martin and I ran with it. Lola loved all of it and we had a very sweet time with her friends. 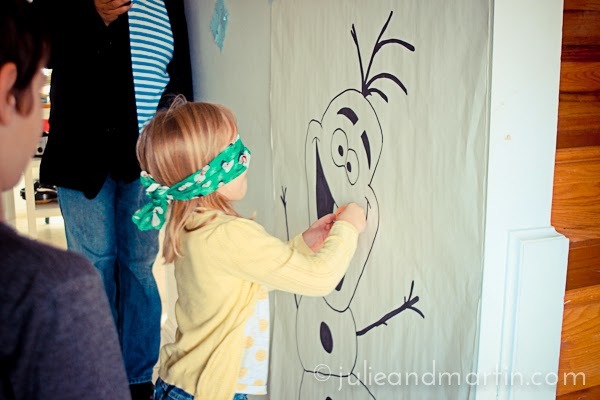 – A game of “Pin the Carrot on Olaf.” Martin drew Olaf by hand based on photos he found on the Internet. He’s always been really good at that. While Martin drew on paper from our big paper roll, I cut carrots from orange scrapbook paper. 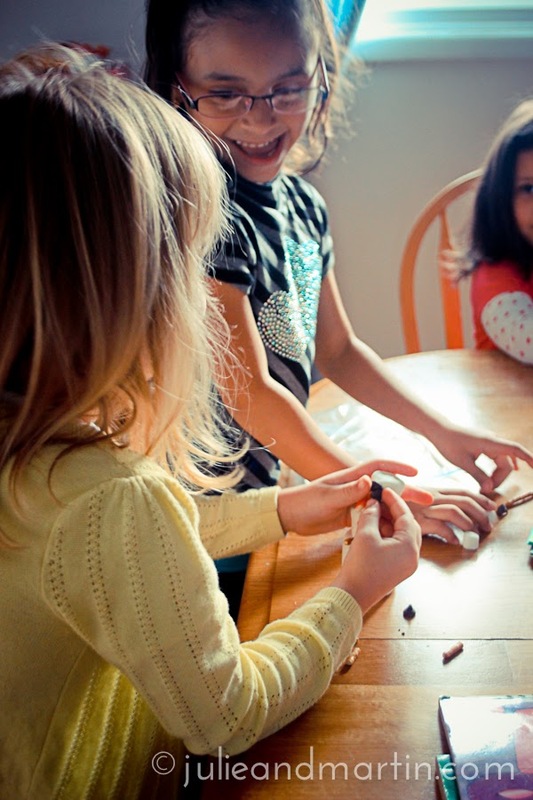 – “Do You Wanna Build a Snowman” craft with marshmallows, chocolate chips, candy corn, and pretzel rods. The kids ate him when completed. – I bought light blue Gatorade and peeled off the labels. They were then referred to as melted as Elsa Water. Bottled water was Melted Olaf. 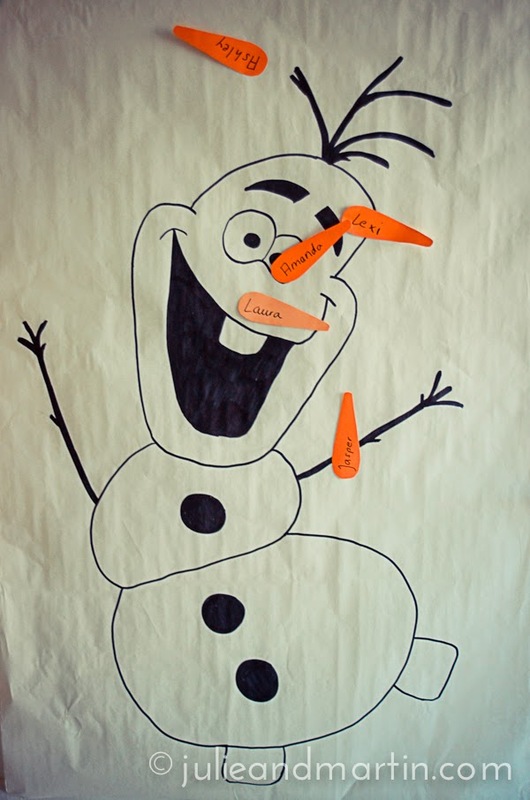 – Carrots and pretzels as Olaf parts. Thanks to Pinterest for all the inspiration!